Relieve irascibility, improves sight, nourish liver and kidney, strengthens eyes and brain. Eye Support formula is a well-known ophthalmologic medicine prepared from precious medicinal materials, by latest methods and after an ancient secret recipe. Overdue long reading or youngsters can harm their eyesight, resulting in pathologic changes with ocular tissues. Eyes become congestive, fatigued, swollen, painful, and also headache, vertigo, and prurits around the eye can occur. 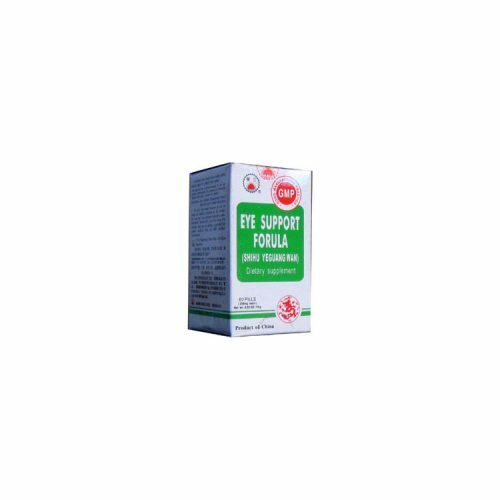 Administration of this medicine relieves irascibility, improves sight, nourishes the liver, benefits the kidney and has good actions of nutrition and regulation for optic nerves and eyeballs. Numerous clinical tests have shown this medicine to be effective in amblyopia of the old and pseudomyopia of the young. It may be useful in central retinitis, early cataract and glaucoma. Pseudomyopia, congestive and fatigued eyes, shedding tears in the wind, dizziness, tinnitus, amblyopia, dilated pupils, neurasthenia, cataract, glaucoma, central retinitis, delayed recovery from optical diseases. Take 5 pills, 2 times a day. Take this product successively for 30 days as one course of treatment. Do not use during pregnancy. Keep out of reach of children. Be the first to review “Asparagus & Lycium Combo (Eye Support)” Click here to cancel reply.